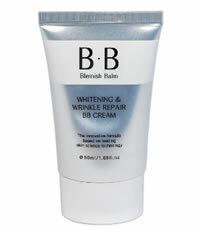 Whitening and Wrinkle Repair BB Cream naturally covers and protects the skin. It helps brighten and repair wrinkles giving a firmer and livelier look. The ingredients contain Arbutin and Adenosine which are efficient in treating shady , dark, dry and saggy skin. How to use: After applying sunblock as the last step of basic skincare, take a proper amount of Whitening & Wrinkle Repair BB Cream and spread it evenly on entire face and tap till absorbed. This entry was posted in Uncategorized and tagged Fr3b Singapore’s 1st Sampling Concept Store, Fr3b.com, free beauty samples, Free giveaways, free samples, freebies, S’pores 1st Sampling Concept Store, singapore free beauty samples, singapore’s 1st online sampling platform. Bookmark the permalink.